Chef Arnone is available for culinary organizational assessments. His vast experience in kitchens of all shapes, sizes, and culinary styles allows him to identify areas of opportunity in your operation. From purchasing to serving your customers, he will analyze and evaluate based on your goals and objectives. Focusing on food cost, production, waste, labor, efficiency, and identifying critical areas for improvement lay the groundwork for this assessment. This service can target a specific challenge in your kitchen, or provide a detailed assessment of your entire culinary operation. 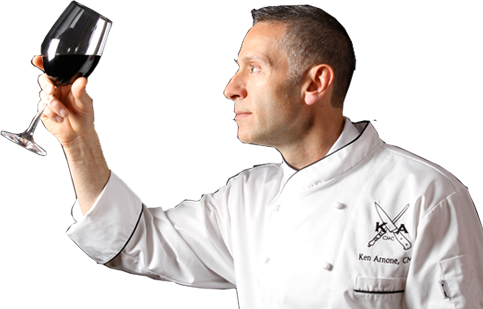 Chef Arnone provides practical solutions for your operation that will enable your team to improve the overall quality and consistency of the product that you deliver to your customers.